Home › Int'l Reactions › Italian Lawyers urge the Italian Authorities to denounce the ongoing Human Rights Violations in Turkey. Italian Lawyers urge the Italian Authorities to denounce the ongoing Human Rights Violations in Turkey. The Union of Italian Criminal Chambers (L’Unione della Camere Penali Italiane) who represents 8000 Italian criminal lawyers made a statement on the occasion of Turkish President Erdogan’s visit to Rome and urged the Erdogan’s Italian counterparts to denounce to ongoing human rights violation in Turkey. 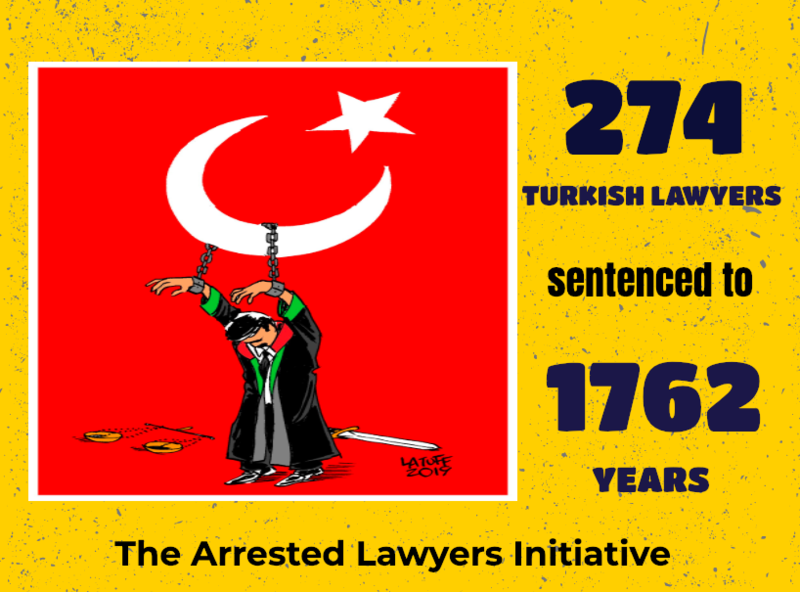 In the statement The UCPI underlined as referring the Arrested Lawyers Initiative’s reports that 572 lawyers have been arrested, 79 lawyers have been convicted and 1506 lawyers have been prosecuted.